Despite many dire economic forecasts, China has adroitly shifted gears to grow at a slower and more sustainable pace. This balancing act between growth and course correction continues this year. What is the outlook like for China's economy as we enter a new year? China's economy in 2017 is expected to have grown at 6.9 per cent, up from the 6.7 per cent of the previous year. This puts China back as the world's best-performing major economy for the year, especially compared with other fast-growing emerging economies such as the Philippines (6.6 per cent), India (6.5 per cent) and Malaysia (5.8 per cent). For almost three decades, China was the world's stellar growth champion when its economy was growing at double digits. However, no economy can sustain such super-growth forever. As China started to head for lower growth from 2012, it soon ceded its leading growth position to latecomers like India. This led to sensational reports in the international media about China's "big slowdown". It is now clear that these assessments had totally misinterpreted China's economic slowdown process, just as they had exaggerated the country's potential problems, such as high debt (the so-called Minsky Moment), overproduction and potential property bubble. Accordingly, the international media had also underestimated the Chinese government's ability to manage its economic slowdown through appropriate policy intervention. Many foreign analysts repeatedly predicted a "hard-landing" scenario for China's economy. China's transition to lower growth has been truly unique. First, unlike the other high-performance East Asian economies of Japan, South Korea, Taiwan and Singapore, China had not only sustained its hyper growth much longer (over three decades) but also ended its high growth not abruptly, but gradually, by maintaining reasonable growth at high levels. China formally ended double-digit high growth in 2012 at 7.9 per cent, followed by a marginally lower growth rate of 7.8 per cent for 2013, 7.3 per cent for 2014, 6.9 per cent for 2015 and 6.7 per cent for 2016. The whole "slowdown" process of 2012-16 has been remarkably stable, with the growth curve levelling off in an almost horizontal manner. China had indeed chalked up an average growth rate of 7.3 per cent during this so-called "slowdown" period of 2012-16. This notion of China's "economic slowdown" has therefore been a misnomer. Any growth rate of above 7 per cent is still regionally and globally a highly respectable performance. 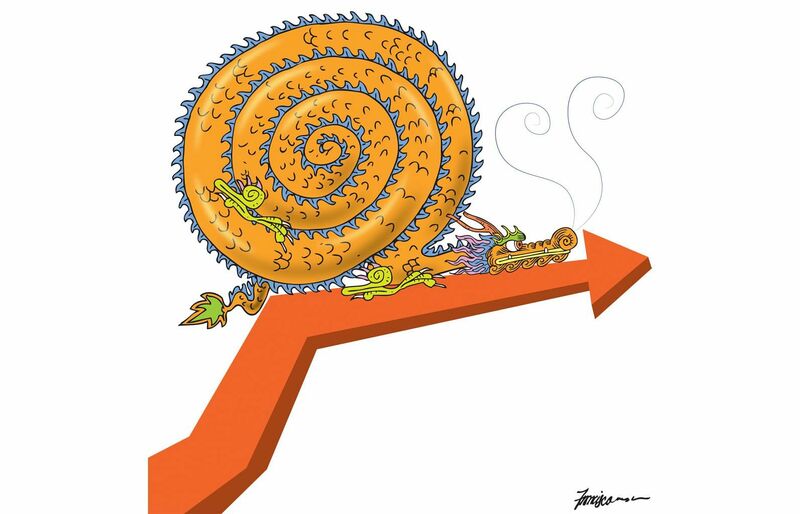 China's growth has "slowed down" only in the context of its own historical growth path. How has China managed it? And China has largely succeeded in stabilising its economy as it shifts onto a slower track. How it did it is an open secret. It was basically done by active macroeconomic intervention, initially through vigorous demand-side management and subsequently mixing it with some supply-side initiatives. In part because it is a huge and diverse country, the internal dynamics of which keeps up demand and provides a lot more room for expansion. Consider too the comparison with Japan and South Korea - when both ended their high growth period, they were already developed economies, and the fall-off in growth rates was steep, almost immediately plunging to around 4 per cent and then lower. China, on the other hand, is still a middle-income economy even after three decades of hyper growth, and hence there is still continuing appetite for further expansion. Furthermore, with China's huge GDP base of almost US$12 trillion (S$16 trillion) today, growth of 7 per cent will generate in a single year the additional GDP that is equivalent to one-third of India's total GDP or 90 per cent of Indonesia's. Not surprisingly, even with its present slowdown, the sheer scale of China's growth has continued to exert tremendous regional and global impacts on both demand and supply. And, even as some foreign analysts were issuing dire warnings about a hard landing, China's domestic economy was experiencing double-digit increases in wages and disposable incomes. Car sales (more than 20 million units) and outbound tourism (over 100 million) were also rising at double-digit rates. But red-hot growth is unsustainable and carries risks. And China has largely succeeded in stabilising its economy as it shifts onto a slower track. How it did it is an open secret. It was basically done by active macroeconomic intervention, initially through vigorous demand-side management and subsequently mixing it with some supply-side initiatives. President Xi Jinping signalled China's acceptance of a slowdown as the "new normal" in late 2014. In his address to an Asia-Pacific Economic Cooperation meeting in Beijing, he described tapering growth as something not to be scared of. But initially it was not an easy transition for the government as the idea ran counter to a long-held view that strong growth was needed to protect jobs and facilitate structural reforms. As growth dipped in 2014, Premier Li Keqiang, in his role as economic manager, sought to prop it up with a large injection of credit and loans so as to maintain his declared 7 per cent growth target . But the result was an explosive growth in credit that saw "total social finance" (TSF) surge at double-digit rates. The matter came to a head in early 2016 when TSF reached about 200 per cent of GDP, while total debt stood at around 250 per cent of GDP. A major overhaul of macroeconomic policy kicked in in May 2016, following direct intervention from Mr Xi himself. The previous "debt-driven growth" model was deemed unsustainable. Since then, China's macroeconomic management has tilted towards a more supply-side approach, with greater emphasis on structural reform and addressing existing problems of overproduction and excess capacity as well as overleveraging. More importantly, maintaining continuing high growth was no longer the top priority. Mr Xi's preference is for an L-shaped stable growth trajectory rather than the V-shaped one that results from artificial stimulus. Looking back at 2017, the impressive growth performance was due to a number of favourable cyclical and structural factors. They include good export performance on account of global economic recovery as well as success in reducing capacity and overproduction along with significant macroeconomic rebalancing towards greater domestic demand-driven growth. Consumption growth in 2017 is estimated to be 8.4 per cent, slightly up from 8.3 per cent in 2016 while investment is 4.8 per cent, down from 5.9 per cent the year before. Exports in 2017, however, grew at 7 per cent compared with 3.5 per cent in 2016. China's sources of economic growth have gradually shifted. Growth has become dependent more on consumption than investment; domestic consumption rather than external demand has become the main growth driver. Such a consumption-driven growth is more sustainable in the long run. Initially, analysts were bullish about China's 2018 economic prospects, with some predicting a 7 per cent or higher growth figure. But such sentiments soon subsided after the conclusion of the 19th Communist Party congress, which came up with some long-term development policies that could potentially squeeze GDP growth in the short run. The economic policy agenda for 2018 as spelt out at the annual Central Economic Work Conference last month calls for stable and sustainable growth. Its general macroeconomic policy tone is explicitly "prudent", hence ruling out any vigorous policy intervention to support higher growth. In fact, certain policy guidelines suggest the opposite. To begin with, Mr Xi had for some time made no bones about his preference for "higher quality" growth, not mere quantitative growth in GDP terms. But now he is pushing home the message that he is as serious about cleaning up the environment as he is in curbing corruption. Any higher-quality growth means potentially lower GDP in the short run; the closing down of old polluting factories, for instance, involves a trade-off that exchanges short-term losses for better-quality growth in the longer term. Mr Xi's policy of reducing financial risks by vigorously deleveraging the financial sector, such as reducing loans, tightening financial regulations and supervision as well as cleaning up local government debt, is most timely. China's debt to GDP ratio, at around 260 per cent, is among the highest in the world. Although talk of a "Minsky Moment" for China has been an exaggeration, a high debt overhang would seriously affect future growth. Still, any vigorous financial deleveraging will squeeze credit and loans, which will inevitably affect investment and consumption, and hence also lower GDP growth. The problem is even more serious at the local government level. Likewise, Mr Xi's other manifest policies of stepping up further state-owned enterprise reform through mergers and acquisitions or asset restructuring based on a mixed ownership model will also carry similar trade-offs for lower growth, with short-term pain imposed for long-term gains. Given these "anti-growth" features in the economic blueprint, most analysts have therefore marked down 2018's growth to 6.5 per cent. It should be noted, however, that 2018 is the 40th anniversary of Deng Xiaoping's economic reform and the open-door policy. Chances are the government is likely to intervene to maintain a high growth rate for this landmark year. As China is a huge economy, a 6.5 per cent growth rate is still highly respectable. It should also be sufficient for Mr Xi to achieve his cherished target of China becoming a xiao kang (moderately prosperous) society by 2020. 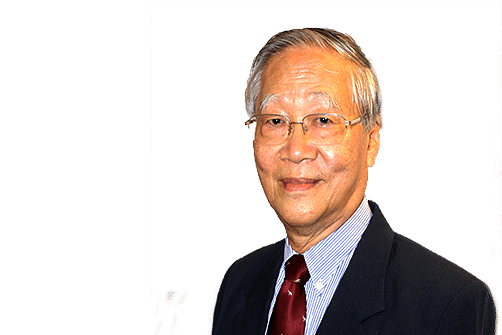 • The writer is a professorial fellow at the East Asian Institute, National University of Singapore.